The Porsche Passport is a monthly subscription service that enables you to drive various Porsche models. It offers an alternative to owning or leasing a Porsche. Porsche’s Passport system is a short-term rental system that is based in Atlanta, Georgia. The Porsche Passport offer two membership packages that allow the subscriber to drive selected Porsche models. 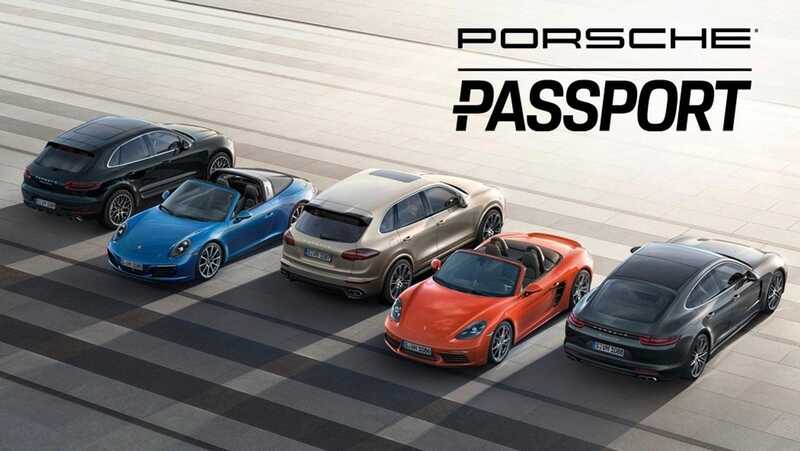 The $2000 ‘Launch’ plan gives the driver access to eight different Porsche models, including models such as the Cayenne and Cayman S. The $3000 ‘Accelerate’ plan gives the driver access to 22 Porsche models, including models such as the Macan GTS and the 911 Carrera S. The service works through the Porsche Passport App through which members request their next vehicle. They can decide on the time and location for the delivery. A concierge team then delivers the vehicle and makes sure that the driver is setup to go. The membership also requires a once off activation fee of $500, a background check, and a credit check. The monthly subscription also includes detailing fees which can easily add up. Roadside assistance is also offered in the package. The personal concierge will ensure that the car is comprehensively cleaned upon delivery, and the vehicle is also delivered with a full tank of gas. Another advantage is there are no restrictions on how long or short your time with a particular vehicle can be. This may only be limited to the need for maintenance on the vehicle, however if or when this arises, the driver is given a similar model to drive. The main disadvantage is that the service is based in Atlanta, Georgia, and therefore members will need to live in the greater Atlanta area to make full use of the service. The program is still in the pilot phase and various locations could be added in the future. This will be based on its success in Atlanta. Although the service gives the user a good selection of vehicles to choose from, the membership can still be viewed as expensive, and is therefore unaffordable to the majority of the population. Over the course of one year, the subscriber would have paid either $24 000 or $36 000 depending in their plan. Given that an entry level Porsche is priced at under $50 000, it would be possible to purchase a new entry level Porsche with the amount of 2 years of the subscription. The additional once off activation fee of $500 can also be seen as a disadvantage. Finally, the background check and credit card may also result in the applicant being declined or membership. Porsche has brought a new innovative package into the market. Ultimately, consumers need to weigh up the pros and cons of the Porsche Passport to assess its viability.